Mishell is an owner of KJM Consulting & Training, Inc. in Munnsville, New York. KJM specializes in providing a broad range of high quality training programs to insurance agencies; insurance companies and banks throughout the north east. In addition to the customized training KJM also provides consulting services focusing on E&O; Procedure Manual development and implementation; and Agency Management training techniques. Mishell currently holds New York State Property and Casualty Brokers License; a New York State Life and Health Brokers License; a New York State Producer License to Act as a Consultant; a Certified Insurance Service Representative (CISR) designation; a Certified Insurance Counselor (CIC) designation; the Accredited Advisor of Insurance (AAI) designation; Certified Professional Insurance Agent (CPIA) designation; and the Federation of Insurance Professional Counselor (FIPC) designation. 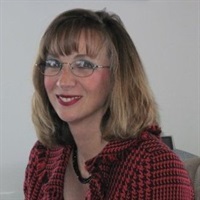 Mishell is a frequent speaker for Professional Insurance Agents (PIA) of New York, New Jersey, New Hampshire and Connecticut for CIC and CISR programs and for the Independent Insurance Agents & Brokers of New York’s Best Practices of Errors & Omission Loss Prevention along with their various other programs. In addition, Mishell works as an Adjunct Professor for Mohawk Valley Community College; Bryant & Stratton College; Madison/Oneida BOCES and State University of New York (SUNY) Oswego. KJM Consulting & Training, Inc.